Famously known as the “Rain City” due to its weather. Bogor City is located in West Java and it is considered as one of the best educational hubs in Indonesia, particularly within Agricultural Sciences. It is 290m above sea level, making this city notably cooler than the torrid lowlands of Indonesia. Together with its grandeur, lavishly fertile lands, many of the city’s famed tourist attractions include tea, fruit and vegetable plantations, and national parks home to many flora and fauna. Other attractions also include fun places to engage in extreme sports like Gunung Mas, with waterfalls to visit, trekking grounds, and other activities like kayaking, rafting, golf, and many more. There are also educational attractions that students can visit such as the Presidential Palace and the Geological Museum. Students will stay at the Kinasih Resort for 3 days and 2 nights, engaging themselves in exciting hands-on activities to experience the agricultural realm that they cannot find within school walls. They will jump into the paddy fields and get their hands dirty in rice planting activities, discover rare fruits that cannot be found in cities and learn to grow their own vegetables. 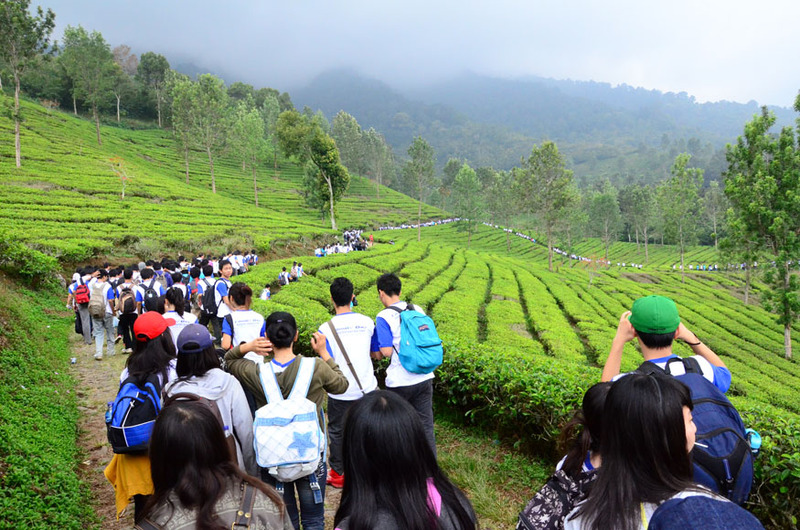 They will also venture outside of the resort and explore the Curug Climber waterfall and visit the Gunung Mas Tea Plantation. At night, students will have the chance to showcase their creative talents in the famed X-Factor Show whilst enjoying BBQ fish that they’ve caught during one of their activities in the day. Bogor is also well known as heaven for many food lovers alike due to the variety delicacies sold on the street markets and the local cuisine available at every nook and corner. At the end of the trip, students can also bring home many local treats to their families back home. Recommended age: 10 – 15 years old. Capacity: 30 – 150 people.